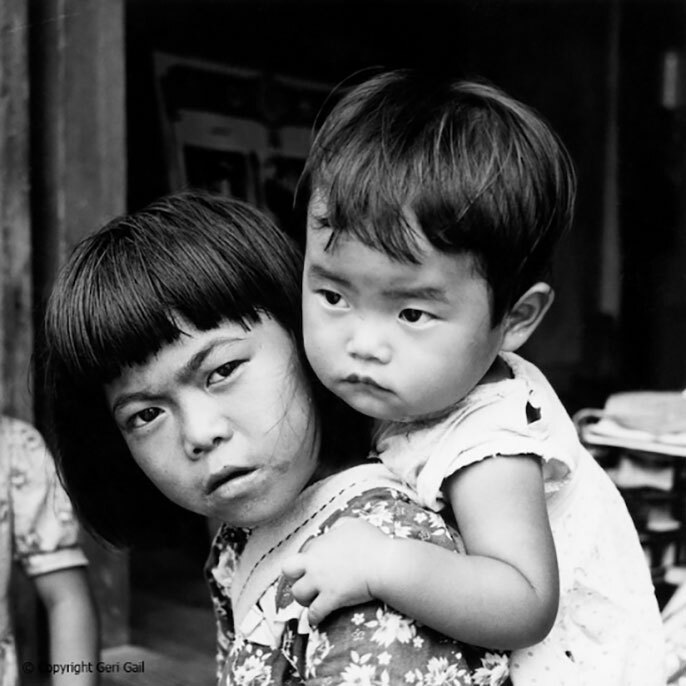 “Portrait of little girl with baby brother on back,” by Charles Eugene Gail, is among the wealth of images archived in The Gail Project, a public history collaboration hosted by UC Santa Cruz. An undergraduate essay about the effort took first prize in the global Shout Out for the Humanities contest created by UC Santa Barbara scholar Alan Liu. What would the New York Times look like if every article that mentioned the humanities were removed? Would the iPhone be so elegant if Steve Jobs, famously staunch advocate of liberal arts that he was, had never taken the college calligraphy course that provided early inspiration for Apple’s design aesthetic? Such are the sort of questions under examination by UC Santa Barbara’s Alan Liu, by way of his advocacy initiative 4Humanities. A professor of English at UC Santa Barbara and a globally renowned expert in digital humanities, Liu co-founded the organization that aims to combat pessimism about the value of a liberal arts education. More than five years in, 4Humanities’ push to generate attention for the field even outside academia has now notched its biggest win so far by engaging the group that stands to best benefit from the endeavor: humanities students. The organization’s inaugural “Shout Out for the Humanities” contest drew hundreds of submissions from liberal arts students at colleges and universities in some 10 different countries. “This contest has been the greatest progress 4Humanities has made, in terms of impact that has the potential to reach outside our little bubble of the academic world,” Liu said. “The goal was to incubate consciousness about the humanities and use the process of the contest itself as a proselytizing tool. Most efforts to speak up for humanities are the voices of people like us — scholars, faculty, administrators — and rarely do we hear the views of students. Case in point: André Lynch, of Saint Lawrence University in New York, who took first prize in the graduate student category for his original rap and self-produced music video, “Facts of Humanities.” The University of California made a strong showing, too, with top undergraduate honors going to a team from UC Santa Cruz whose essay detailed their work on The Gail Project, a public history collaboration that revolves around American military occupation in Okinawa. Throughout the summer and into the fall, 4Humanities will be publicizing all the contest submissions it received, in its continued push to bolster public opinion of the humanities and the future prospects for students that follow such a path. To that same end, the organization has begun employing data-mining methods to examine the myriad ways that humanities are represented, and presented, in the media — from big stories in major publications to back-page obituaries. “The goal is to map out the expected memes, if you will, about humanities — declining majors and so on — but we’re really on the hunt for unexpected topics and themes and connections with other provinces of social concern as well,” Liu said. “We hope to stretch the discourse in different directions and in the end produce a sort-of kit that people who care about the humanities can use to talk to the public and to the powers that be in their own institutions and communities.